Pulmonary arterial hypertension (PAH) is a progressive disease associated with vasoconstriction and remodeling. Intracellular Ca2+ signaling regulates the contraction of pulmonary arteries and the proliferation of pulmonary arterial smooth muscle cells (PASMCs); however, it is not clear which molecules related to Ca2+ signaling contribute to the progression of PAH. In this study, we found the specific expression of type 2 inositol 1,4,5-trisphosphate receptor (IP3R2), which is an intracellular Ca2+ release channel, on the sarco/endoplasmic reticulum in mouse PASMCs, and demonstrated its inhibitory role in the progression of PAH using a chronic hypoxia-induced PAH mouse model. After chronic hypoxia exposure, IP3R2−/− mice exhibited the significant aggravation of PAH, as determined by echocardiography and right ventricular hypertrophy, with significantly greater medial wall thickness by immunohistochemistry than that of wild-type mice. In IP3R2−/− murine PASMCs with chronic hypoxia, a TUNEL assay revealed the significant suppression of apoptosis, whereas there was no significant change in proliferation. Thapsigargin-induced store-operated Ca2+ entry (SOCE) was significantly enhanced in IP3R2−/− PASMCs in both normoxia and hypoxia based on in vitro fluorescent Ca2+ imaging. Furthermore, the enhancement of SOCE in IP3R2−/− PASMCs was remarkably suppressed by the addition of DPB162-AE, an inhibitor of the stromal-interacting molecule (STIM)–Orai complex which is about 100 times more potent than 2-APB. Our results indicate that IP3R2 may inhibit the progression of PAH by promoting apoptosis and inhibiting SOCE via the STIM–Orai pathway in PASMCs. These findings suggest a previously undetermined role of IP3R in the development of PAH and may contribute to the development of targeted therapies. 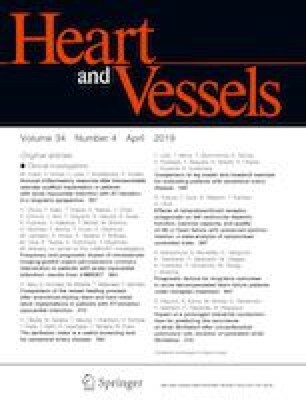 The authors thank K. Fukuda who helped to develop the mouse model system of pulmonary hypertension induced by hypoxia; U. Yokoyama for the preparation of primary culture of pulmonary artery smooth muscle cells; M. Yasui for Ca2+ imaging with confocal microscopy. We thank Olympus Corp. for the support in Ca2+ imaging. The authors also thank A. Kuramochi and M. Suzuki for technical support, and members of the Division of Pediatric Cardiology in Keio University School of Medicine for helpful discussion. This work was supported by the Acterion Academia Prize 2015 to A.S. And it was also supported by Grant-in-Aid for Scientific Research from the Ministry of Education, Culture, Sports, Science and Technology, Japan to K.U. and H.Y. (Grant numbers JP19390288, JP19790740, JP21791004, JP23591583, JP26461619, JP17K10153, and JP16H05359).